Easily mark diagonal stitch lines, sew, and cut, and you get a bonus Half Square Triangle unit from your leftover corner cut-offs. There won't be any wasted fabric! 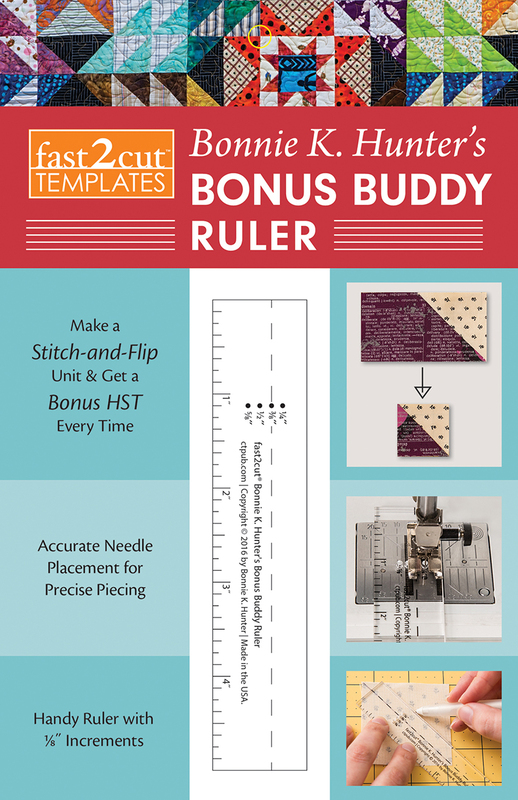 The Bonus Buddy doubles as a seam-guide marking tool for your machine and is also a handy 1" × 5" ruler. Designed by Bonnie K. Hunter, this will be your new favourite piecing tool.